For some folks, the centerpiece of their house is the kitchen. 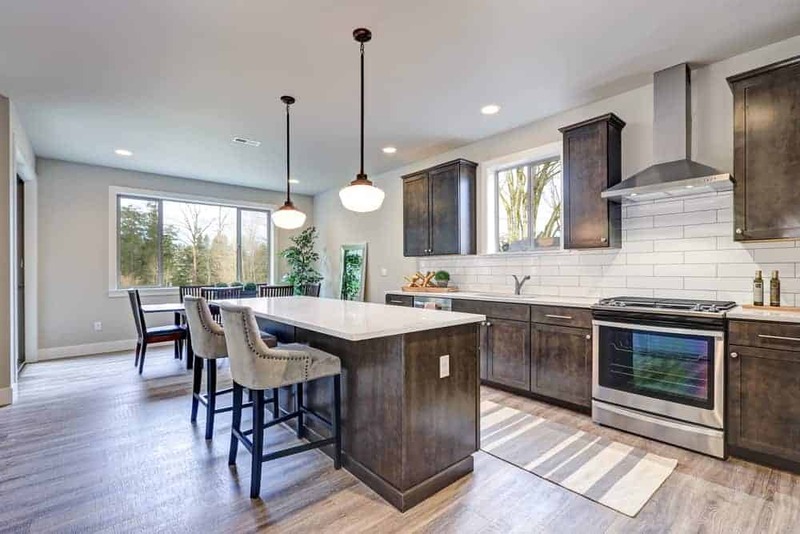 Having a kitchen that captures attention and personal flare, and provides the space needed to whip up amazing dishes is just what you may be dreaming of for the longest while. You don’t have to get an entirely new kitchen; instead, you can remodel your kitchen in some of the most popular styles. You have a vision of your perfect kitchen and here are some of the most popular kitchen styles that you can consider when taking on a kitchen remodeling project. Shelving and storage are key features in farmhouse kitchens. In fact, remove the doors of some cabinets to maximize storage space, and in the process, you’ll produce open shelving and an airy atmosphere. A large, deep, basin sink made of heavy-duty materials, featuring an apron-front adds flare to any rustic, farm kitchen. The practicality of these sinks makes them very homely and functional. No farmhouse kitchen is complete without oversized features, such as islands, wooden tables and rustic fireplaces. The pieces elevate the rustic feel of the kitchen, along with the elegance. For a modern design, make your cabinet style overlay or full overlay, also referred to as Euro frameless, creating a sleek, consistent look. When giving your kitchen a modern makeover, less is more. Small details keep things simple, focused and clean. There is no need for embellishments and overdesign. Go for solid counters, integrated hardware, and pieces with industrial elements. The beautiful architectural details give the space an elegant appeal. Features can include sweeping arches, raised-panel cabinets and corbels. A vintage touch in the form of classic stains (distressed and aged stains) are the ideal choice for traditional kitchens. Stylish lighting, from chandeliers to lantern-style lighting can elevate the mood of a kitchen. To get your beautiful, stylish kitchen, hire Ryann Reed Design Build for your remodeling job. We offer exceptional designs and service, bringing dreams to life and families together.